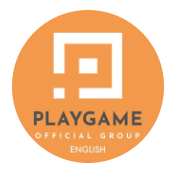 Playgame is airdropping 5000 PXG tokens to their community members. Complete the following steps to receive your tokens. Visit the Playgame Airdrop form here. 1. Go to the PlayGame Airdrop form. 2. Join PlayGame on Telegram (https://t.me/playgamecom_en) and make at least 1 positive post.